When most people think of whey protein, they immediately think about whey protein shakes and smoothies. While chemical-free whey protein that is sourced from rBHG-free, grass-fed cows does make a great addition to any shake or smoothie, did you know it is also a great ingredient in no-bake homemade protein balls and bars? Health food stores are filled with high-protein meal replacement bars, however, these can get pricey, sometimes costing more than $5 each. Once you get over the sticker shock, check the ingredients on those ‘designer’ protein bars – while there are some high-quality products out there, many manufacturers fill these meal replacement bars with low-grade protein, artificial sweeteners and fillers that will weigh you down. Soy protein (a cheap, low-grade form of dietary protein that has poor absorbtion rates in comparison to whey protein isolate powder) is commonly used in ‘high-protein’ bars. Artificial colors (dyes) and flavors. Artificial sweeteners like aspartame, saccharin and sucralose. 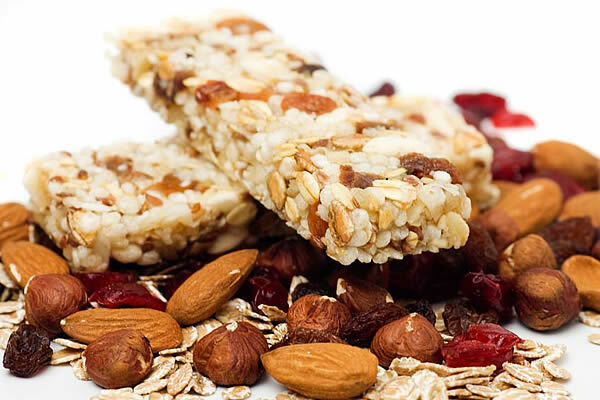 In addition to low-grade proteins and ‘dirty’ ingredients like fractionated palm oil and corn syrup/sugar, a shockingly high number of these ‘healthy’ protein bars have almost the same amount of sugar as a can of soda or a candy bar. And if you’re looking for a gluten-free protein bar on your grocery store shelf, good luck. While gluten-free (GF) products have enjoyed a recent burst in popularity, there is still a notable lack of high-quality, commercially-available GF whey protein bars. If you want to get all the benefits of top-grade whey protein in a portable, packable bar, cookie or ball, why not make your own? Going gluten-free? When you make your own protein cookies and bars, you can be sure your snacks are free from any allergens you need to avoid. Set aside about 1 cup of shredded coconut on a dinner plate. Line a tray or baking sheet with parchment paper (waxed paper will also work). Working quickly with your hands, form the mix into small balls (about the size of a golf ball). Roll these balls through the shredded coconut, covering the balls completely. Place the completed balls onto the lined baking sheet. Once complete, place the tray into the freezer for about 30 minutes, then remove balls from sheet and place into a freezer-safe container. These tasty snacks are ready to eat directly from the freezer, making a great anytime snack. When looking for whey protein powder, only choose 100% natural, raw, grass-fed undenatured whey protein isolate powder. These minimally-processed, high-quality products are free from endocrine disruptors like growth hormones (rBGH) that have been linked to increased rates of prostate, breast and colon cancer.